After months of anticipation Gwyneth Paltrow has announced the launch of her vegan, organic makeup line in collaboration with Juice Beauty. Settling into her role as the beauty brand’s newest Creative Director, Paltrow along with Juice Beauty CEO, Karen Behnke, has designed a range of cosmetic and skincare products that she hopes will rival the high-performance qualities of traditional cosmetics and fill a gap in the market. Paltrow, who recently revealed that her weekly lifestyle publication, Goop, had been investigating toxicity in cosmetic products for some time, explained to Forbes how she “naively” believed that the cosmetics industry regulated the ingredients in their products, but that many American women were still unknowingly applying cosmetics filled with toxic chemicals and carcinogens. 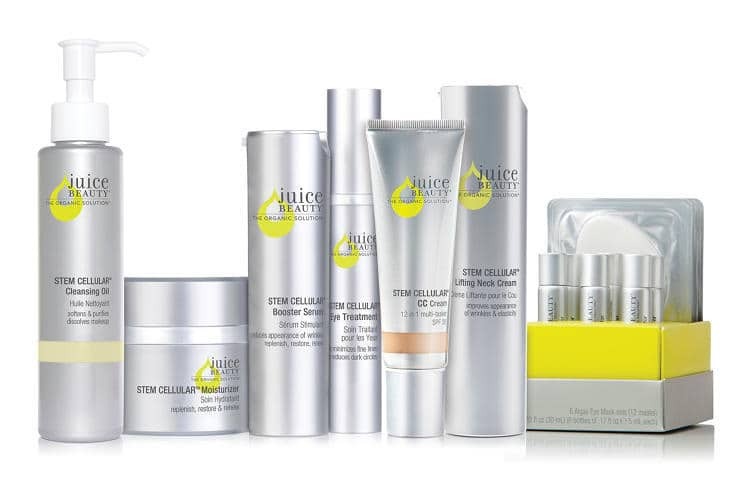 The unregulated landscape of the beauty industry and lack of high quality alternatives prompted the wellness guru to look for ways to fill the space and an eventual partnership with eco-chic skincare line, Juice Beauty was formed. Speaking to Forbes about the collaboration, Karen Behnke insisted Paltrow’s involvement in the creation of the line was paramount. With the number of organic beauty brands growing significantly in the past year due to an increase in consumer awareness and growing demand for transparency relating to ingredients, product innovation in the space is driving the market. In the UK, a market report carried out by The Soil Association in 2015 revealed that leading organic brand Neal’s Yard Remedies, have seen their UK sales rise by 12%. Similarly Pai Skincare, the first company to specialise in organic products for sensitive skin, have witnessed their sales double, as a growing number of consumers choose to avoid the synthetic chemicals found in other products. Speaking to Welltodo, Jessica French, PR & Social Media Coordinator at Neal’s Yard Remedies explained how their increase in sales is due to a number of factors. “Today’s consumers are more educated and better-informed about ingredients that they are putting on to their skin and more sceptical about questionable, synthetic ingredients,” she said. And with an increase in organic products hitting the market Paltrow believes that in the next few years prices will go down as production quality goes up.“We don’t want eating carcinogen free food, for example, to be a luxury. It’s insane, and it should be the same with beauty,” she told Forbes.